The Institute for Functional Medicine’s 2017 Annual International Convention was a practice changer! The brain’s ability to “rewire” its neural networks to recover from previous insults that effect the functioning of the sufferer continues to be awe-inspiring. 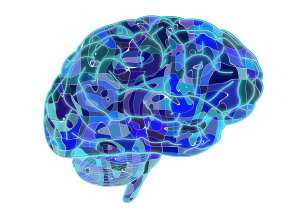 I just blogged about how this concept of “neuroplasticity” is an amazing advancement in our understanding of “untreatable” brain conditions. It has the potential to literally create new clinical outcomes for restoration! One area I wanted to focus on for this blog was how the gut microbiome impacts brain plasticity. During my training, this was highlighted by Dr. Kharrazian’s presentation on the brain-gut axis and its influence on traumatic brain injury recovery. Dr. Perlmutter also taught us how gut bacteria effected levels of BDNF, brain-derived neurotrophic factor, which influences the growth of the brain. With the release of my May 2017 Top Holistic and Integrative Health Reads, I wanted to specifically highlight a few studies from last month that demonstrate the neuroplasticity potential of the gut-brain. In the past, I reviewed that the microbiome can impact mood and anxiety. In fact, psychobiotics is a new term that describes how brain-altering bacteria in the gut affect the mind. Based on the composition of the microbes in the gut, the samples from those diagnosed with IBS clustered into two subgroups. One group was indistinguishable from the healthy control subjects, while the other differed. Those in the group with an altered gut microbiota had more history of early life trauma and longer duration of IBS symptoms. The two groups also displayed differences in brain structure. Analysis of a person’s gut microbiota may become a routine screening test for people with IBS in clinical practice, and in the future, therapies such as certain diets and probiotics may become personalized based on an individual’s gut microbial profile. At the same time, subgroups of people with IBS distinguished by brain and microbial signatures may show different responsiveness to brain-directed therapies such as mindfulness-based stress reduction, cognitive behavioral therapy and targeted drugs. These studies provided more evidence of the influence of the gut on the brain. The good news is that its ultimately lifestyle and diet that modulates what your gut critters will do and which ones will feel welcome to stick around in your belly to begin with! I highlighted all these factors here. Essential oils can also be used to impact the microbiome and to help overcome negative behavior patterns that harm your belly bugs. Of course, all of these tools should be individualized and you would want to consult with a practitioner for specifics in brain rehabilitation. There is no one “magic bullet.” Still, isn’t it amazing to know that the choices you make daily can modulate your gut microbiome and your brain’s functioning? We don’t have to be victims of deterioration!